Weight: 230 gr. glass jar. Ingredients: 45% sun-dried zucchini, 30% extra virgin olive oil, 15% tuna, capers, wine vinegar, salt, sugar, lemon juice. Description: Besides their exquisite taste, zucchini rolls with tuna are also a visually tempting appetizer. 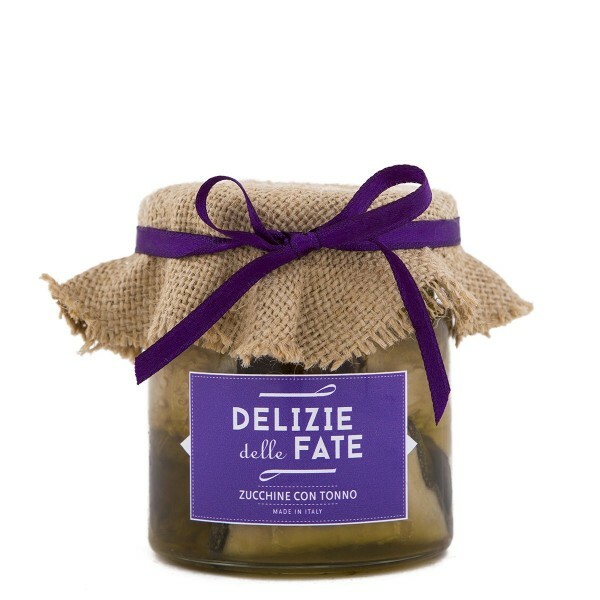 Prepared with natural ingredients, they are a great match for traditional taralli from Puglia and marinated vegetables such as spicy olives, peppers stuffed with anchovies and lampascioni. Conservation: Refrigerate at +2/4°C after opening and use within 2-3 days.